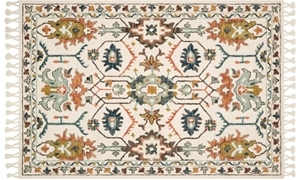 5' x 8' ivory & quarry color rug power-loomed of polypropylene & polyester. Part of the Magnolia Home by Joanna Gaines collection. 8' x 11' sand & ocean color rug power-loomed of polypropylene & polyester. Part of the Magnolia Home by Joanna Gaines collection. 5' x 8' sand & ocean color rug power-loomed of polypropylene & polyester. Part of the Magnolia Home by Joanna Gaines collection. 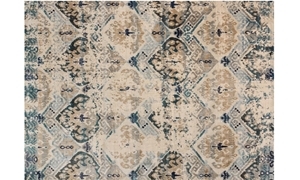 8' x 11' sand & sky color rug power-loomed of polypropylene & polyester. Part of the Magnolia Home by Joanna Gaines collection. 5' x 8' sand & sky color rug power-loomed of polypropylene & polyester. Part of the Magnolia Home by Joanna Gaines collection. 8' x 11' ivory & ink color rug power-loomed of polypropylene & polyester. Part of the Magnolia Home by Joanna Gaines collection. 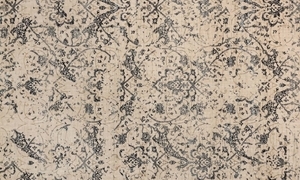 5' x 8' ivory & ink color rug power-loomed of polypropylene & polyester. Part of the Magnolia Home by Joanna Gaines collection. 8' x 10' ivory & tuscan color rug hooked of 100% wool. Part of the Magnolia Home by Joanna Gaines collection. 5' x 8' ivory & tuscan color rug hooked of 100% wool. Part of the Magnolia Home by Joanna Gaines collection. 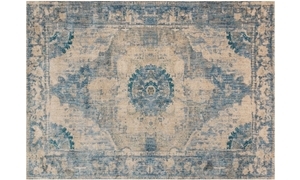 8' x 10' blue & multicolor rug hooked of 100% wool. Part of the Magnolia Home by Joanna Gaines collection. 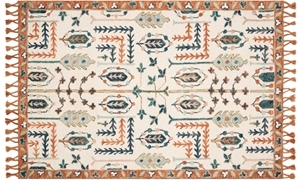 8' x 10' ivory & persimmon color rug hooked of 100% wool. Part of the Magnolia Home by Joanna Gaines collection. The right rug is a great way to bring your room’s décor to life. Find the perfect size and style for your space at Haynes! We pride ourselves in carrying a wide selection of rugs from some of the biggest names in the industry. 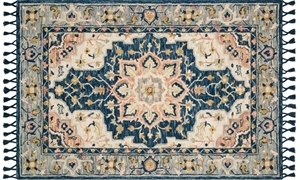 At Haynes, you’ll find rugs from Amer, Loloi, Karastan, Nourison and more for the lowest prices you’ll see in Virginia. Whether you’re looking for a room size rug, runner or scatter size showcasing a traditional Persian-inspired pattern or a contemporary geometric print, we’re confident you’ll find it at Haynes Furniture. Learn more about a few of our favorite collections, then shop the assortment online or in-store!